Robert Service, a wanderer and a poet, became famous in his lifetime for ballads about the Klondike Goldrush. 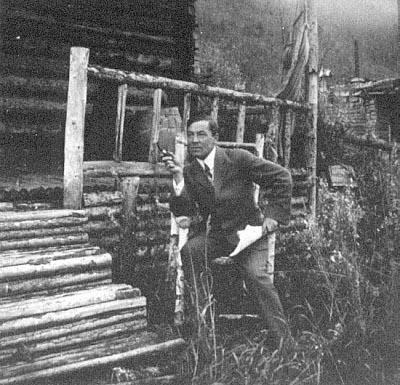 He wrote many poems before he went to the north, and later, was transferred by the bank he worked for to Whitehorse, and then Dawson City. He heard the old-timer’s tales and turned them into verse. We love to share with you YouTube audios of Robert Service reciting two of his most famous poems The Shooting of Dan McGrew and The Cremation of Sam McGee. Click the link in the title above the image to go to our webpage. While there, also see printables of the text so your family can follow along, with notes for reading comprehension. Our family fondly remembers the middle school years when we read through a ballad a day at the dinner table. Every Canadian should know the ballads of Robert Service. I hope you enjoy them.